Your wedding day is the most important day in your life as you stay waiting for it for a long time. The most important thing on your wedding day is your appearance as you will find that all the guests are waiting for you to see how you look on this special and unique day. 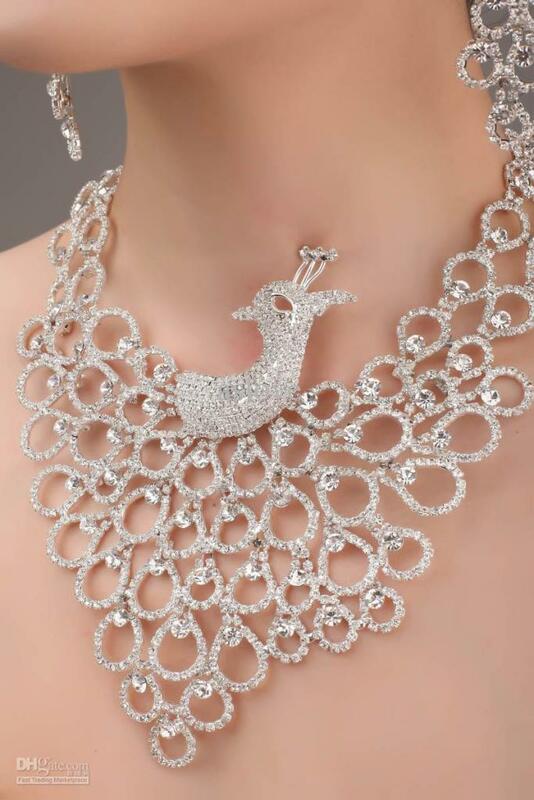 What can increase your beauty at your wedding and make you more gorgeous is the jewelry that you wear. 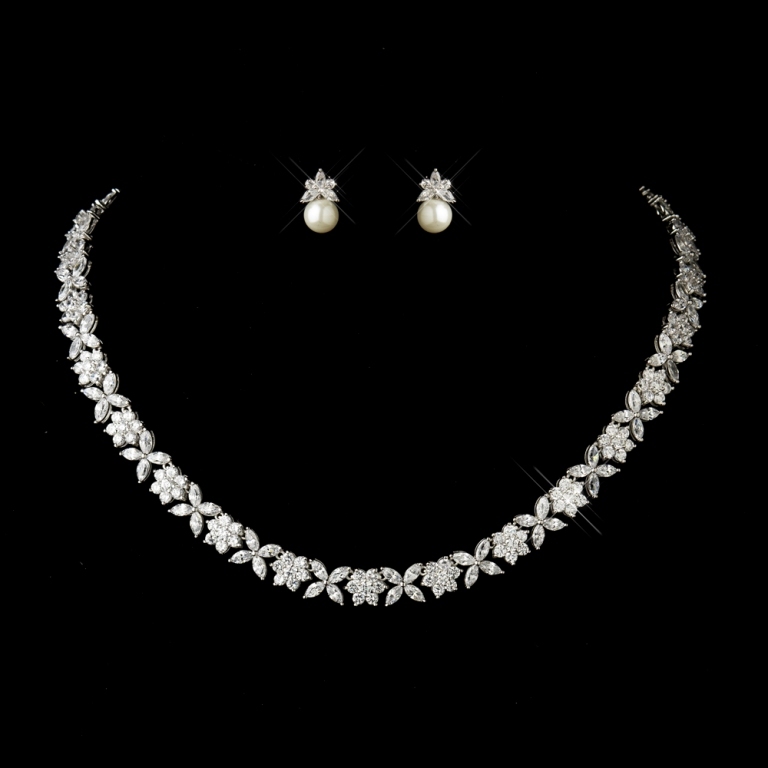 Wearing the right jewelry can enhance your beauty and can also increase the elegance of your wedding dress to be catchier. 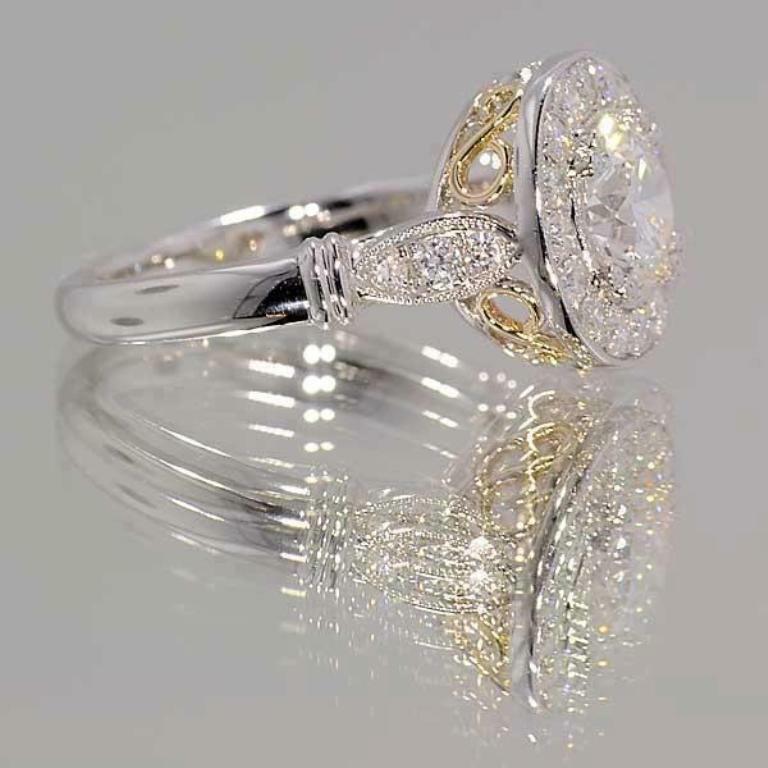 For this reason, you have to care about the bridal jewelry that you choose for yourself on this day and you have to select this perfect jewelry early enough before your wedding day instead of waiting until the last minute. 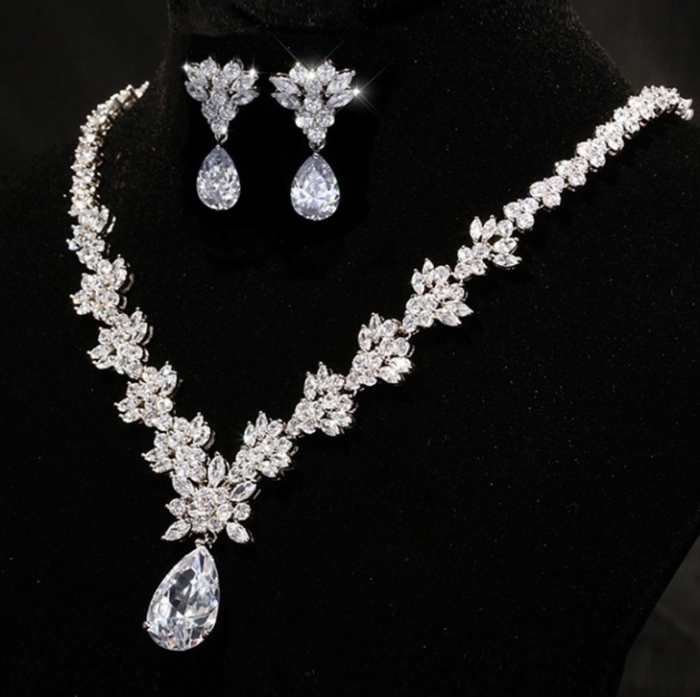 Because you are important to us and we really care about you, we present to you the following tips to show you how to choose your bridal jewelry. 1. 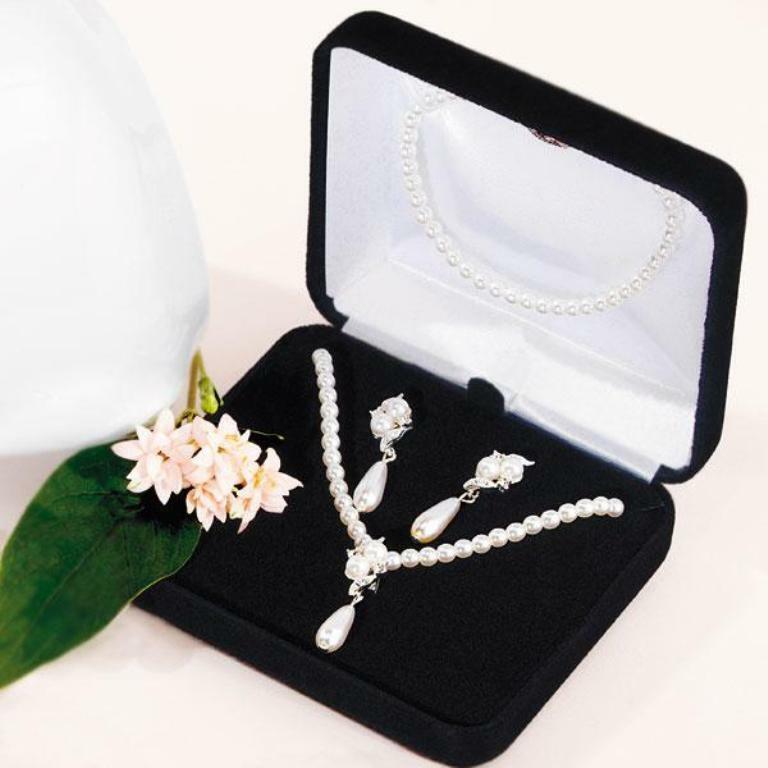 Suitable for different occasions: Choose the perfect bridal jewelry that can be worn on your wedding day and other special and important occasions that you may attend in the future. 2. 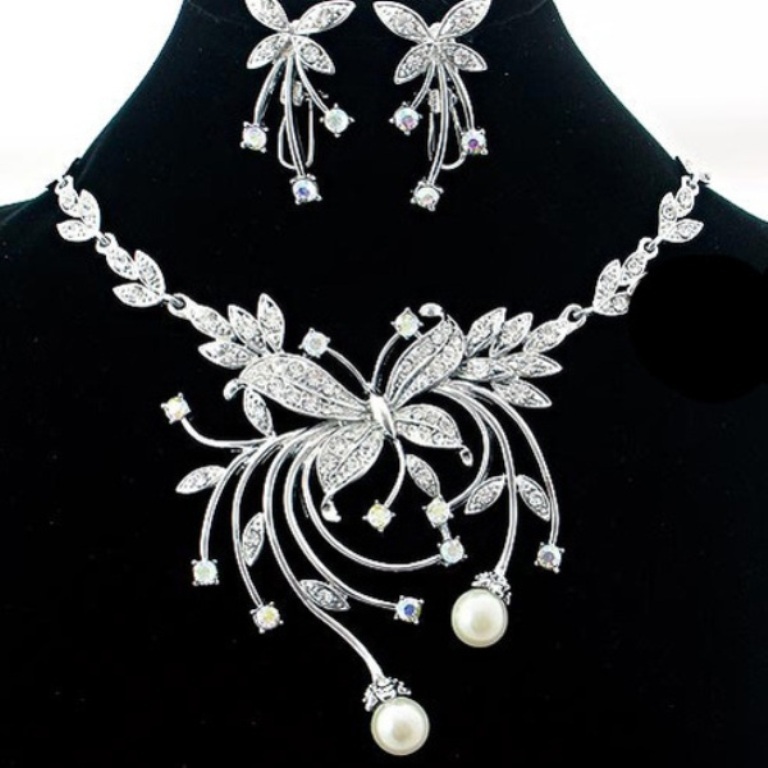 Match your wedding dress: Try to find the jewelry pieces that match your dress and make it catchier instead of wearing any other bridal jewelry that belong to others such as your grandmother or even your mother and do not suit your dress. 3. 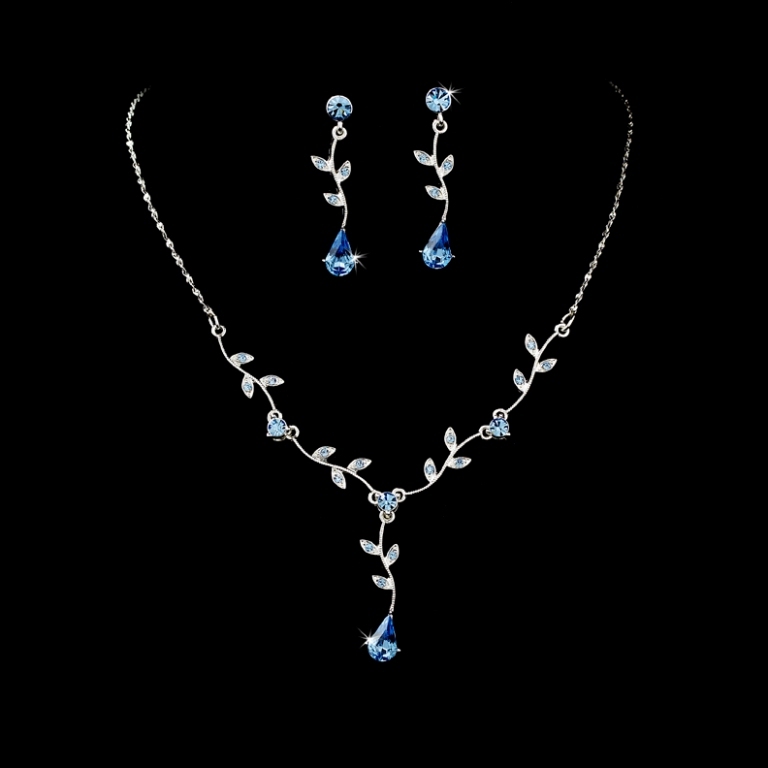 A jewelry set is the best: Purchasing a bridal jewelry set is much better than purchasing each piece alone. 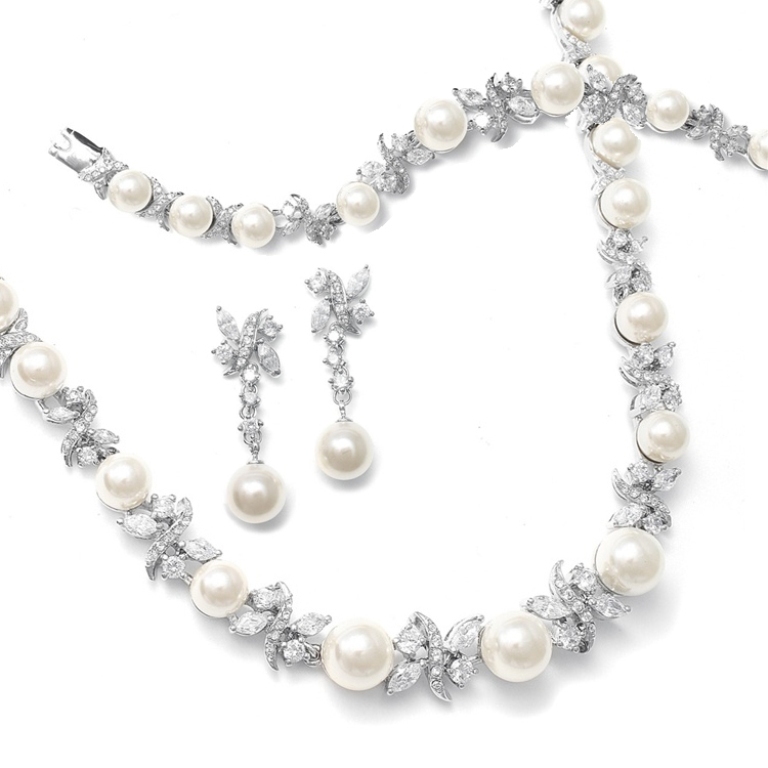 Instead of wasting your time looking for the bracelet, earrings and necklace that match each other, buy a bridal jewelry set in which each piece matches the other pieces. 4. 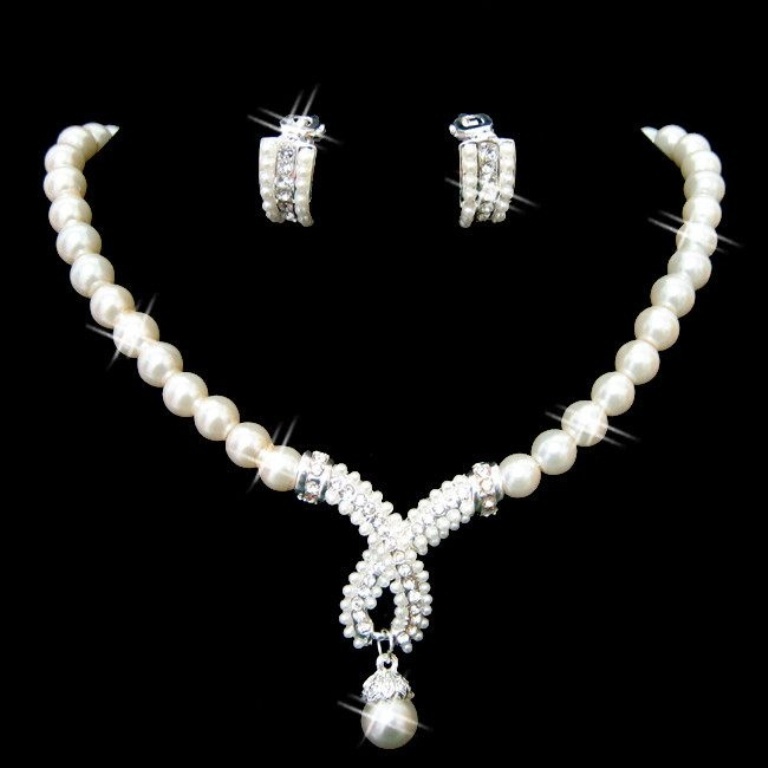 Suitable style: Choose the best bridal jewelry style that matches the style of your wedding dress whether it is modern, medieval or classic. 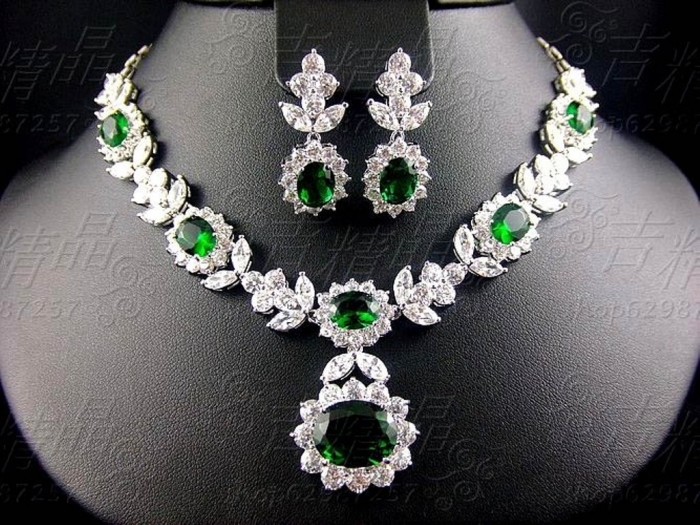 There are countless jewelry styles from which you can choose what suits your taste, personality and dress such as geometric shapes which are the most common, single pendant jewelry, plain jewelry in which the jewelry pieces come without decoration and without being encrusted with any diamonds or gemstones. 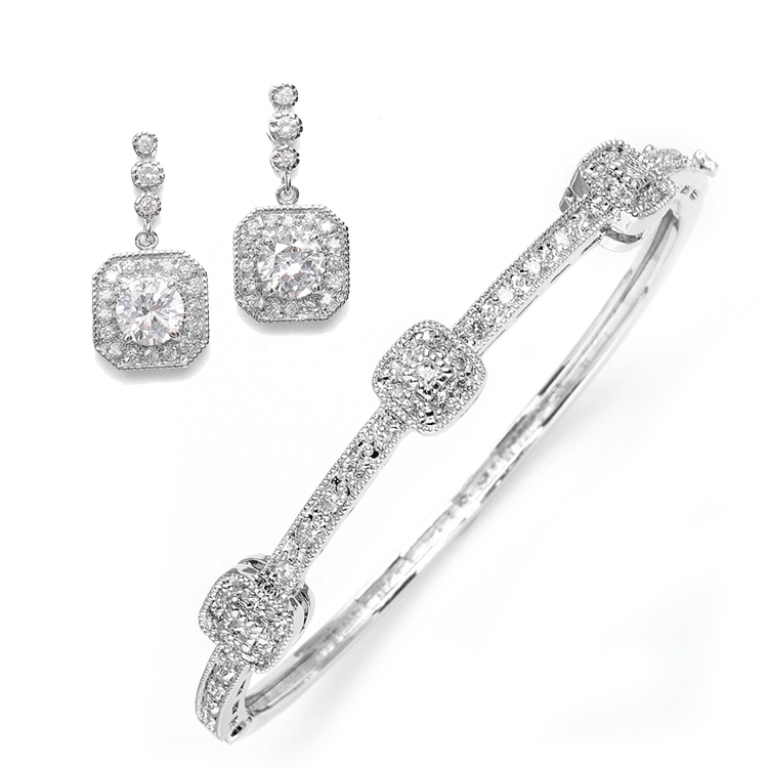 Choosing plain jewelry gives you the chance to wear it later on different occasions. 5. 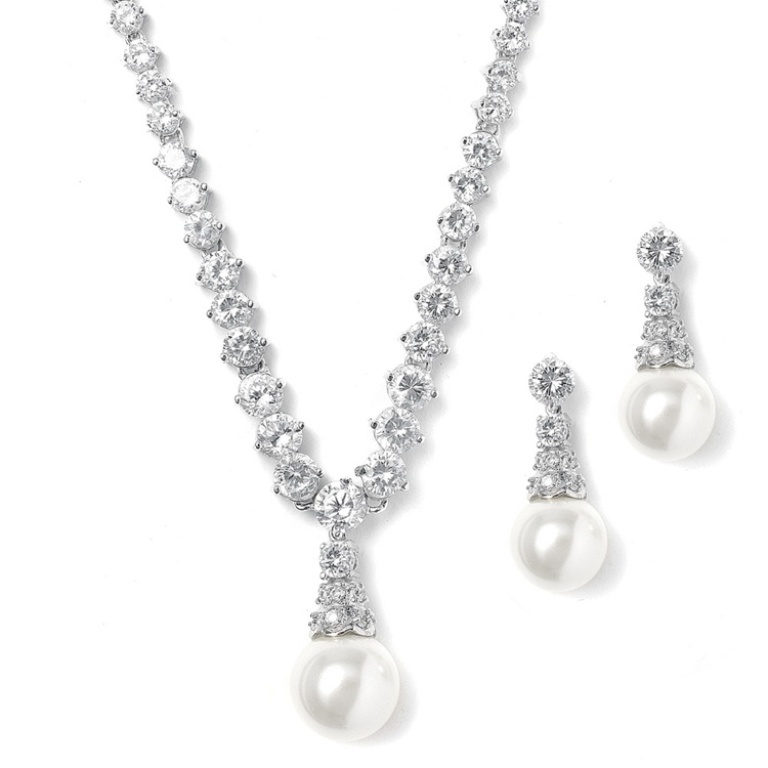 Create a contrast: You can create a catchy contrast through choosing those jewelry pieces that come in different colors. 6. Brooches for old-fashioned dresses: Those old-fashioned dresses with high collars do not require wearing jewelry and it will be better for you to wear a brooch that can be found in different designs and styles which are especially presented to brides. 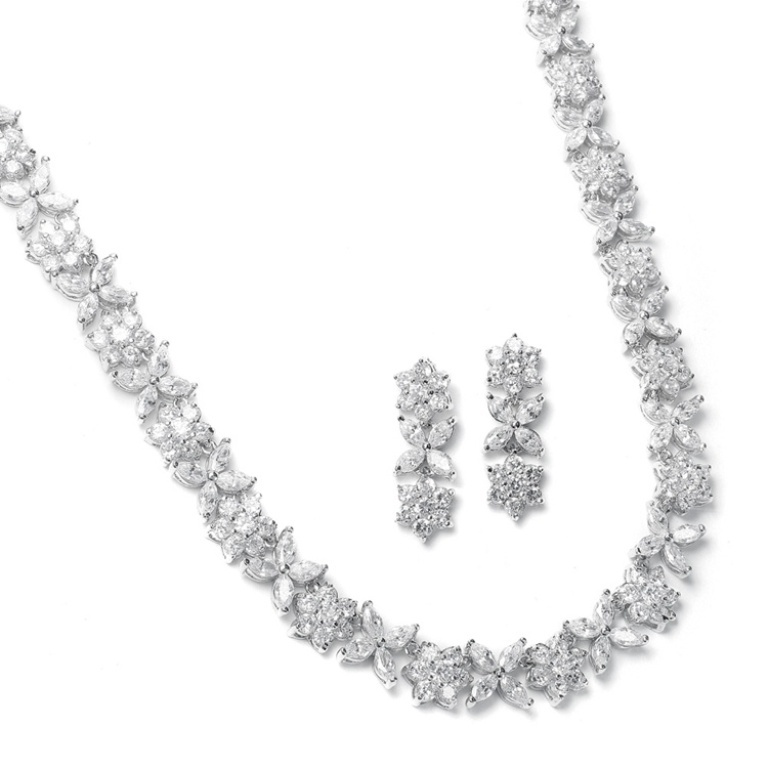 You will also need to wear drop earrings to catch the eyes to your face. 7. 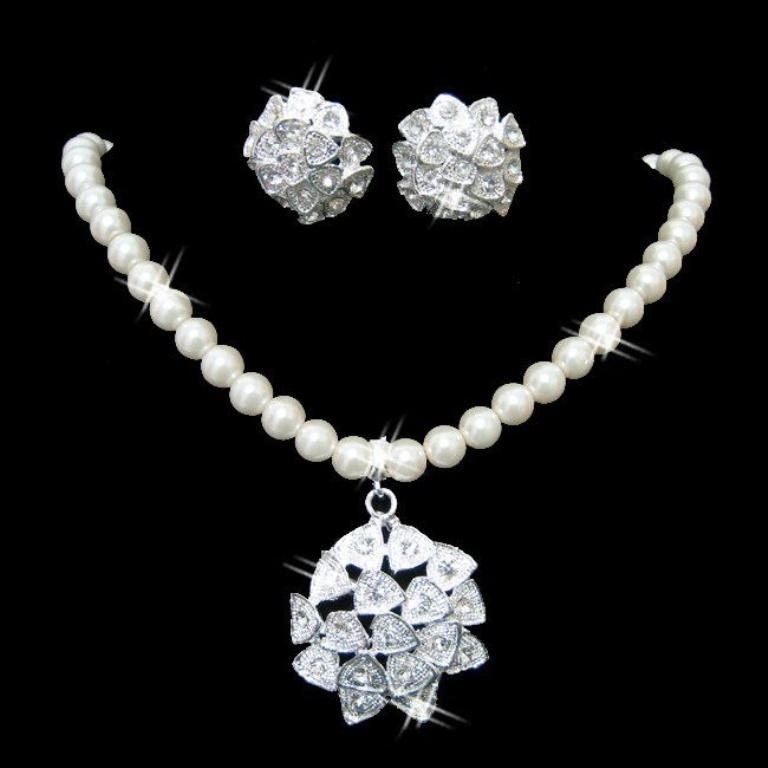 Simple with embellished: If you have an embellished wedding dress, then it is recommended to pair it with simple jewelry such as necklaces with one pendant, plain jewelry or interlocking links and flowers. 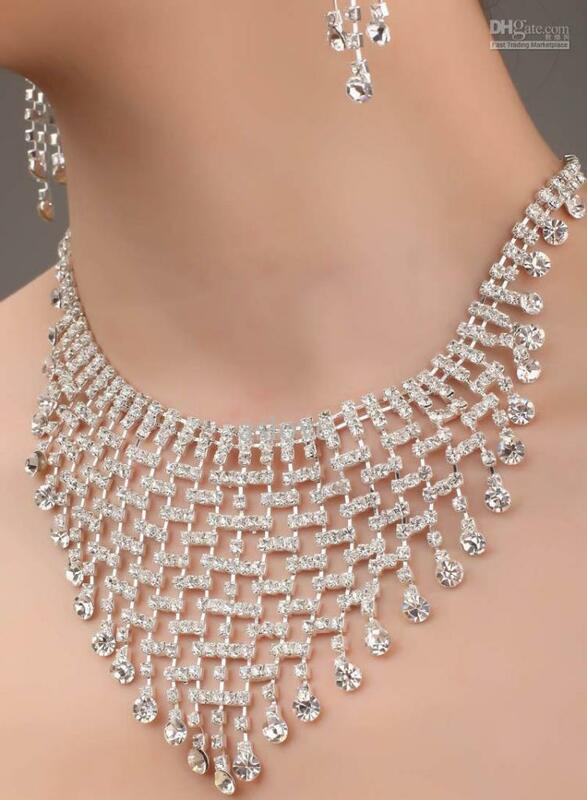 On the other hand, if your wedding dress is simple, then you will need to pair it with a decorated necklace that is really catchy such as those necklaces with more than one pendant and large necklaces that cover most of your chest and may extend to cover a part of your neck. 8. 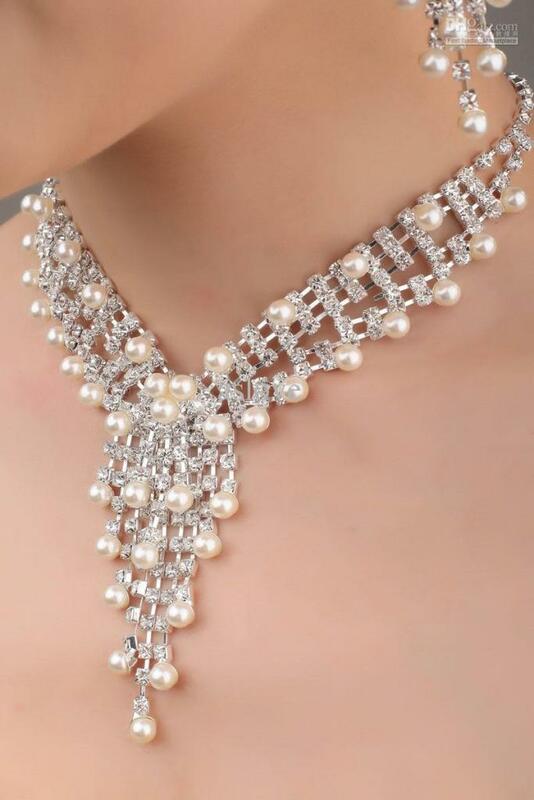 More jewelry for exposed skin: The more you expose your skin, the more jewelry you will need for adorning your body. This happens when you wear a strapless or sweetheart dress that shows your skin. 9. 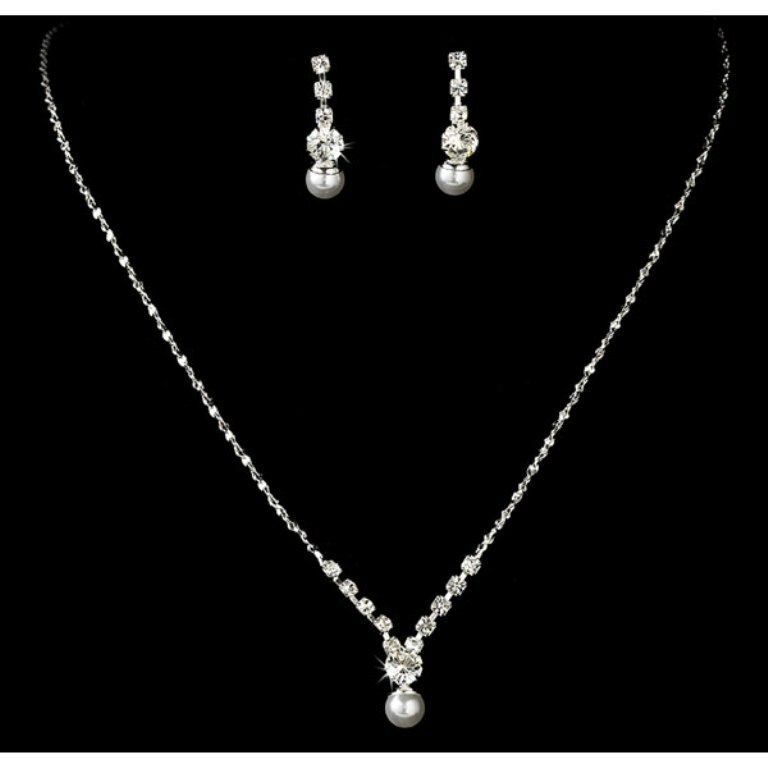 Tight necklaces: Wearing a wedding dress with a high neckline requires choosing a short necklace which is tight around your neck. 10. 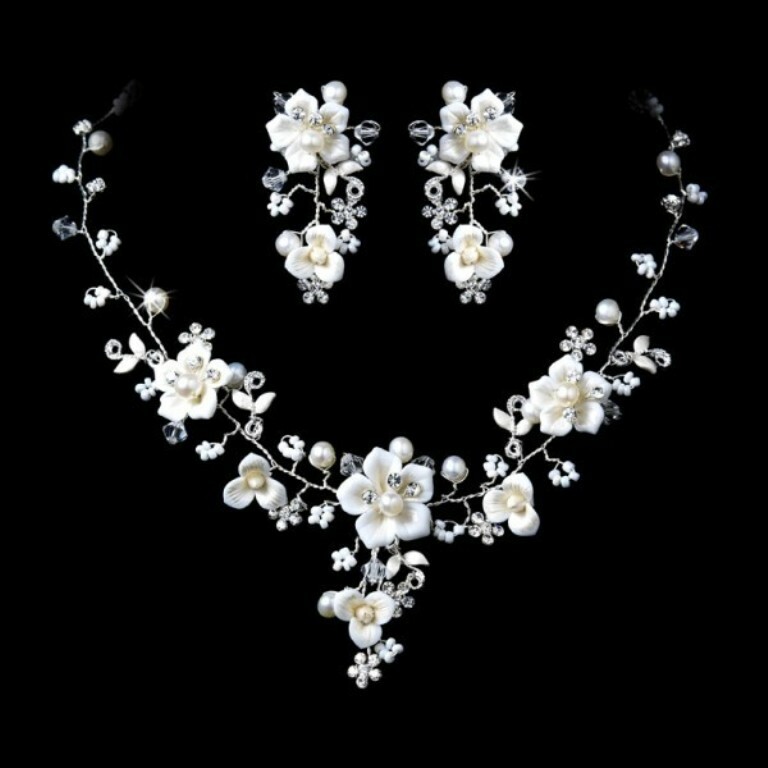 Tiaras and hairclips: Accessorizing your hair and your wedding dress through using tiaras and hair clips which are encrusted with diamonds is recommended especially when you wear a high-collared dress that cannot be paired with a necklace. 11. 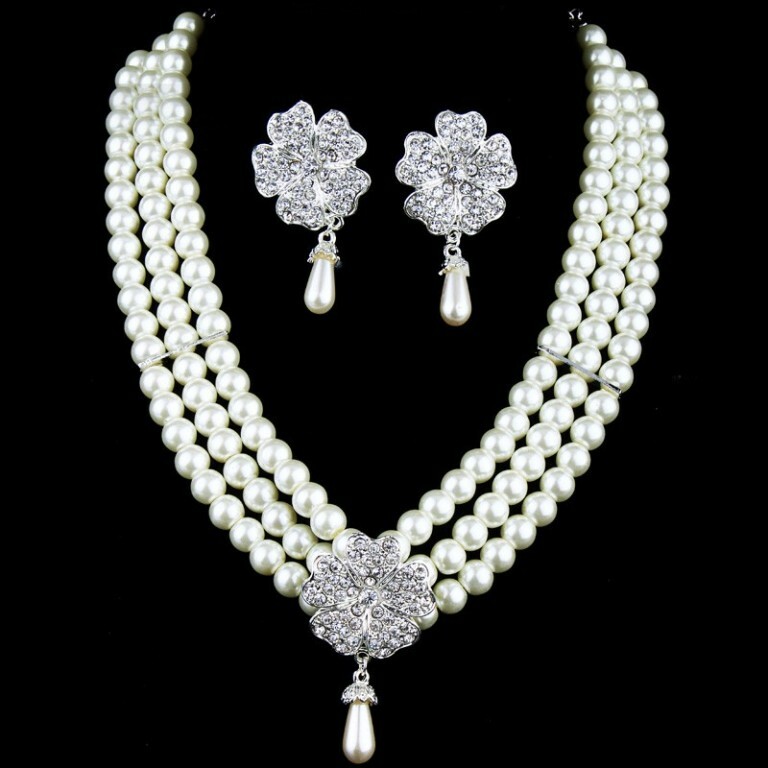 Do it early enough: Purchasing your jewelry should be done early enough before the wedding day and do not wait until the last minute. 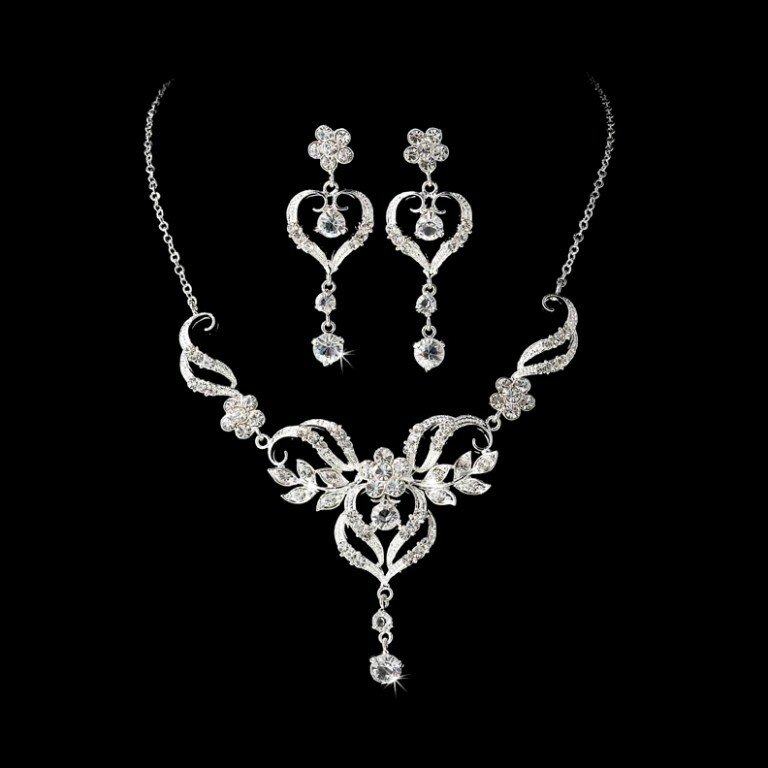 Wear your jewelry while trying your wedding dress, veil and shoes to see how you look and whether all of these items match each other or not. 12. 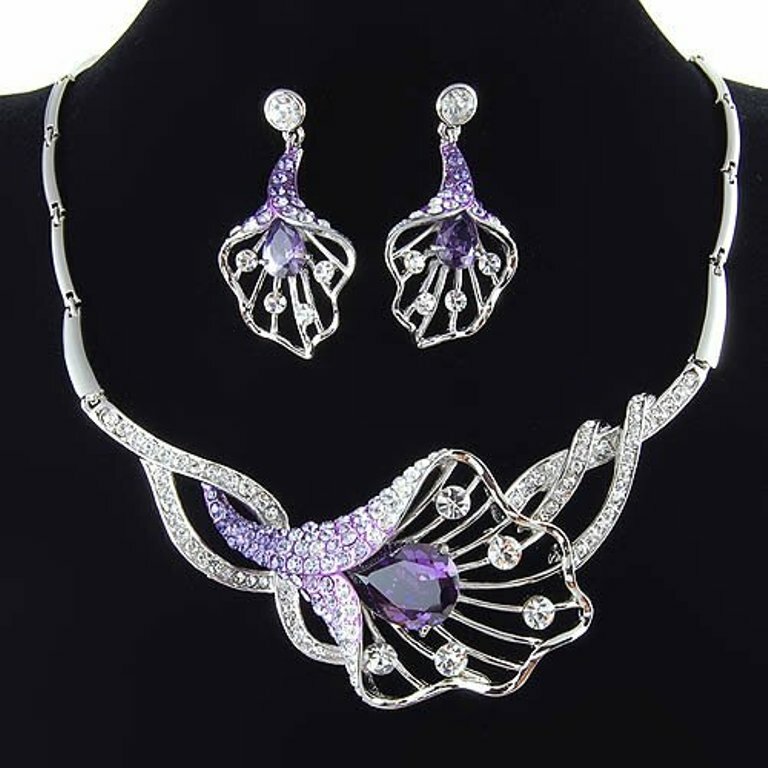 Setting a budget: Do not forget to set a budget before purchasing your jewelry and if you find that you do not have enough money for purchasing a jewelry set, then try to choose the most important piece of jewelry that you really need for accessorizing your dress and pair it with other accessories which are less expensive. 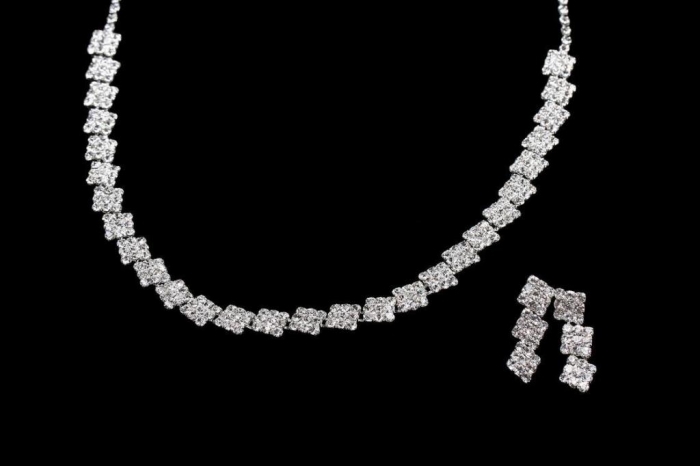 Your bridal jewelry is going to appear in your wedding photos forever, so be careful while purchasing it in order not to regret.